Join us as we journey into the realm of braided fishing line. Empower yourself with the knowledge of braided line vs. monofilament and flourocarbon. 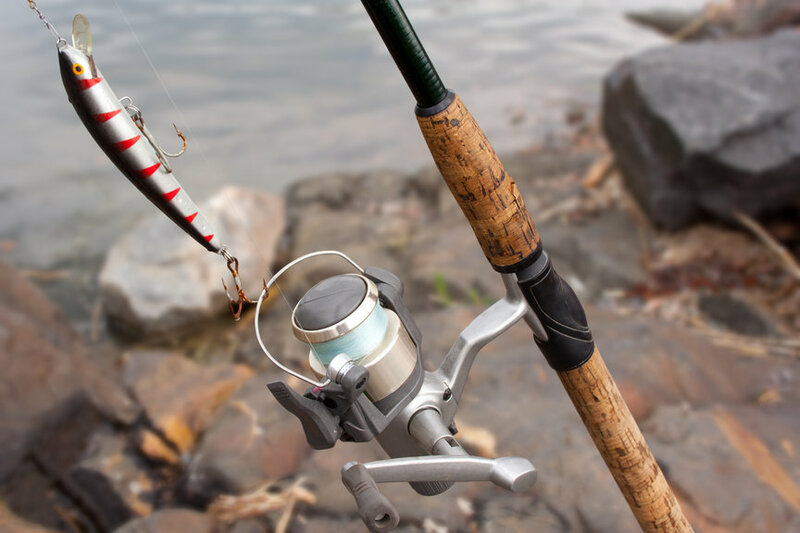 Hone your skills by understanding the best braided fishing line for spinning reels, how each kind is constructed, and how that translates on the water. How Is The Best Braided Line For Spinning Reels Made? Construction starts by taking polyethylene fibers and forming them into long strands. The strands are then woven together to form the braided line. The amount of strands used in the braid plays a big role in the behavior of the line. It’s a lesson in macrame I suppose, but a three strand braid will form a flat line while four strands will form a square. There are braided lines that use 8 strands, and they have more of a rounded form to the weave. Eight strand braids are stronger lines with less guide resistance. They are also more expensive. The final process before completion is to coat the braided line. The coating is designed to protect the fabric like fibers that make up the line and decrease guide resistance. Coatings can be rigid or soft which also changes the behavior of the line. The best known characteristic of braided line is its strength. That doesn’t mean that 15 lb braid is stronger than 15 lb mono or flouro. 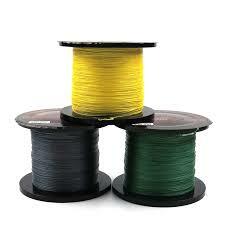 It means that you’ll add a lot more 15 lb braid to your spool because it has a much thinner diameter. A look at this graph will help detail exactly what I mean. *Note: This is a general guide as each type and brand of line will have different characteristics. Another popular feature of braided line is that it has almost no stretch. This means you can feel the smallest of nibbles even while fishing at great depths. Some fishermen prefer the stretch of the mono line, but the best fishermen know when to use which line and how to use them together. Flourocarbon line actually will stretch, but it will not spring back. Stretching of flourocarbon also weakens the line. Many types of braided line will float because they are lighter than the water. This can present issues with line control, especially when using live bait. I mentioned line resistance a bit earlier which is also a concern when using braided line. The coating on the braid helps but it’s never as smooth flying over the guides as mono and flouro are. The light weight of braided line coupled with guide resistance also makes casting a more difficult task. Whether the braid is woven with 3, 4, or 8 strands. 3 stranded braid is the weakest of the three but it’s the least expensive. 4 stranded braid is stronger and will most often be the best value. 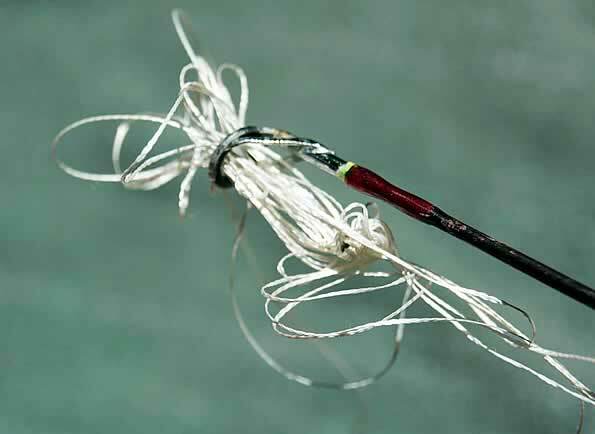 8 stranded braid is strong, expensive, and used by big game fishermen. The type of coating used to protect the braided line will also be an important factor to consider when choosing your product. You’ll want to know if it’s a soft or hard coating. Braided line has no memory and is quite awkward to work with. Line memory refers to its ability to keep its shape when twisted or turned. Coatings on braid that have high memory will make it keep the curl that forms around the spool. This will add to guide resistance which is already an issue with braided line. The main problem fishermen who use braided line face is wind knots when casting and retrieving. Although wind knots happen mostly due to user error, picking the right braided line can help to reduce the occurrence. Braided line with harder coatings tend to have less memory which helps reduce the incidents of wind knots. 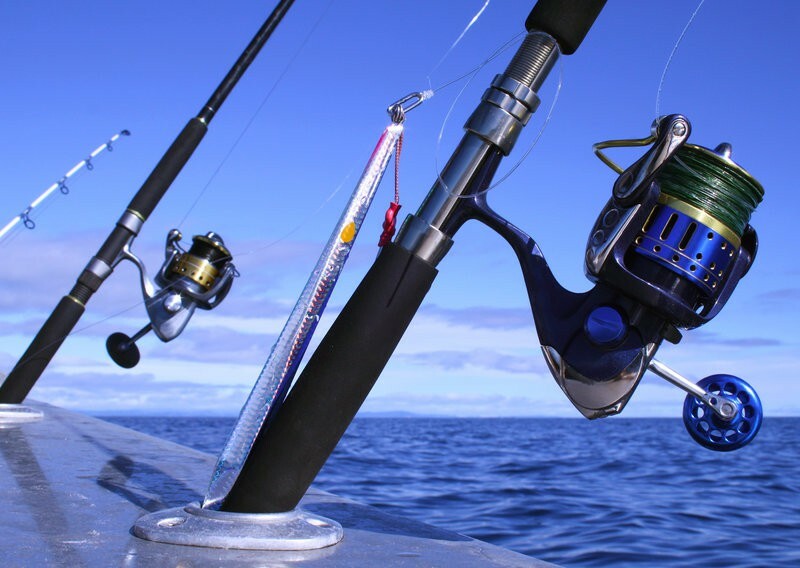 Using spinning reels like the Shimano Sedona which has a power propulsion casting system can also help reduce wind knots. Wind knots typically start by slack line on your spool. This means the line wasn’t laid tightly on the spool. When you go to cast, entire loops will slip off the spool. These loops will sometimes straighten out in flight but more often than not they will wrap and form knots. The best way to avoid wind knots is to always have a tight line before retrieving. Use your finger to pinch the line while retrieving. This will create tightness as you reel it in. Braided line can be a fisherman’s best friend once it’s understood and used properly. Not all braided line is equal and the ones suited for spinning reels will surely have a hard protective coating. This will minimize line memory and help reduce wind knots. Splurging for the 8 strand varieties will also increase line strength and decrease guide resistance. 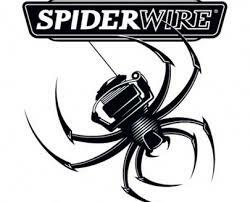 Armed with this knowledge you’re more than prepared to find the best braided fishing line for spinning reels. We hope you’ve found this information helpful. May tight lines and bent rods find you, until next time. thanks . now i finally have a positive answwr to wind knots and their causes and solutions . Hey Bob, glad we were able to give you a helpful tip. Great information that I needed to know. One question: Does the “hard” coating have less guide resistance than the “soft” coating?